Panasonic's GZ2000 looks to be the OLED screen that AV fans have been clamouring for. The first true multi-HDR TV, it supports not only HDR and HDR10+, but also Dolby Vision and the new HLG photo standard. It also has an integrated Dolby Atmos sound system. Interestingly, Panasonic hasn’t just played lip-service to Atmos audio. The set actually features upfiring height speakers on the rear panel, to complement its sound bar, which has been beefed up with Technics’ proprietary JENO Engine for greater sonic accuracy. The result, from demonstrations at the CES 2019 technology show, is the first Atmos TV we’ve heard able to create an immersive listening experience. 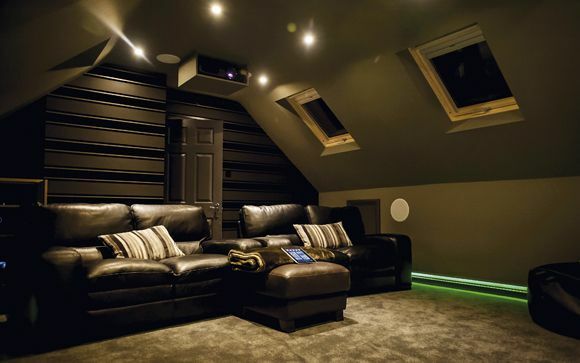 In fact, if you want a big screen that covers all the home cinema bases, this looks like being is top of the list. We had an early viewing of the screen running Dolby Vision content, and were suitably wowed. The TV marks continues the multi-HDR approach adopted by the company in its recent Blu-ray range, which features both HDR10+ and Dolby Vision playback on its DP-UB820 and DP-UB9000 Ultra HD Blu-ray players. At the heart of the GZ2000 is a new intelligent iteration of the Panasonic's HCX image processor, which has been colour tuned in collaboration with leading colour grader Stefan Sonnenfeld, founder and CEO of colour mastering studio Company 3. The new Panasonic flagship will be available in 65in and 55in screen sizes when it launches this summer. Pricing is still to be confirmed.